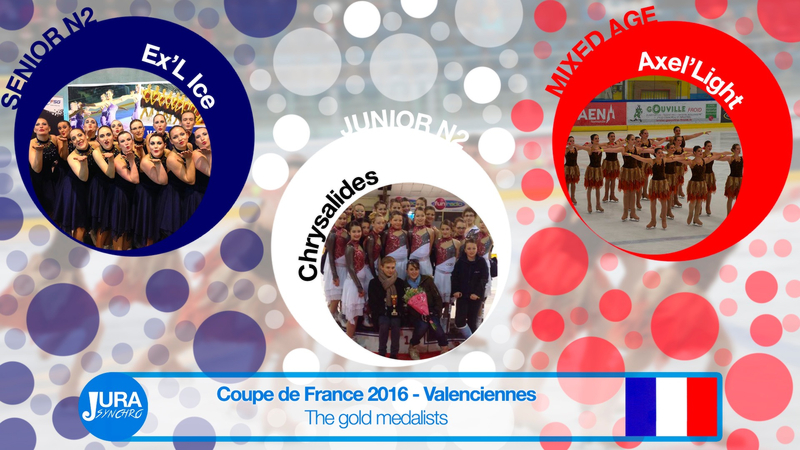 The city of Valenciennes, in the North of France hosted this weekend the 2016 Cup of France. The competition was organized by the Skate Hainaut Valenciennes, a club that also has teams. 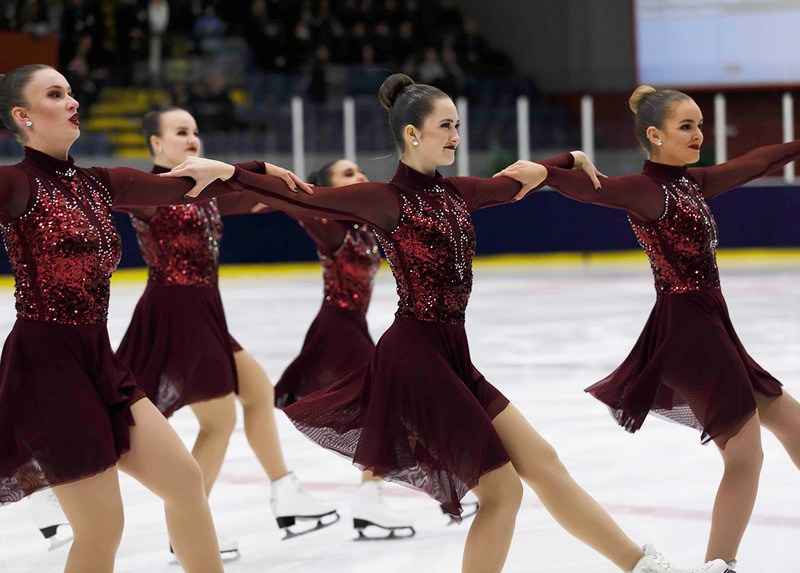 In the Senior N2 category, Ex’L Ice from Paris took the 1st place (65,35 points). She's followed by the Chrysalides. The local team earned a total of 61,74 points this weekend. By the Juniors N2, the Chrysalides from Valenciennes did the best score (61,27 points). At the second place, Axelines from Caen (57,87 points). Les Flammes placed 3rd with 49,64 points. For the Novices A, the gold medal went to the Chrysalides (44,78 points). Z'Hystérik are 2nd (38,36 points) and Les Salamandres 3rd (32,99 points). 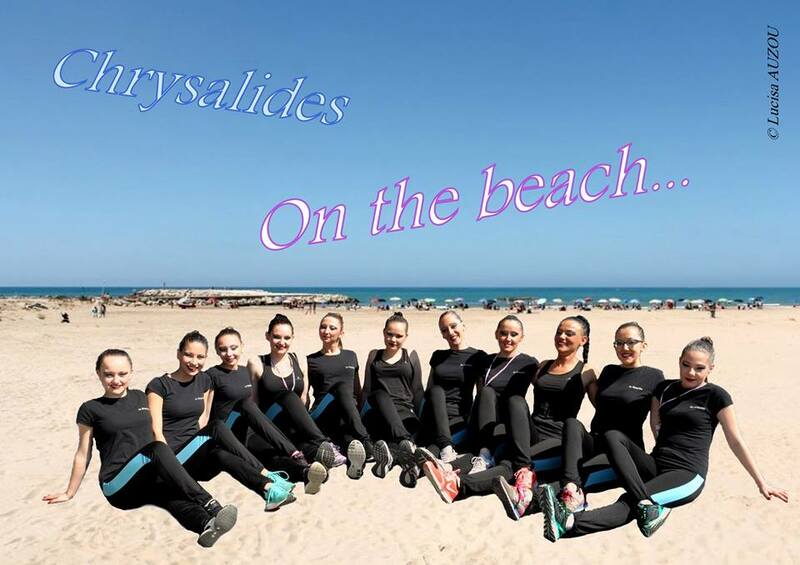 The Chrysalides also won the competition in the Novices B field with a total of 34,83 points. 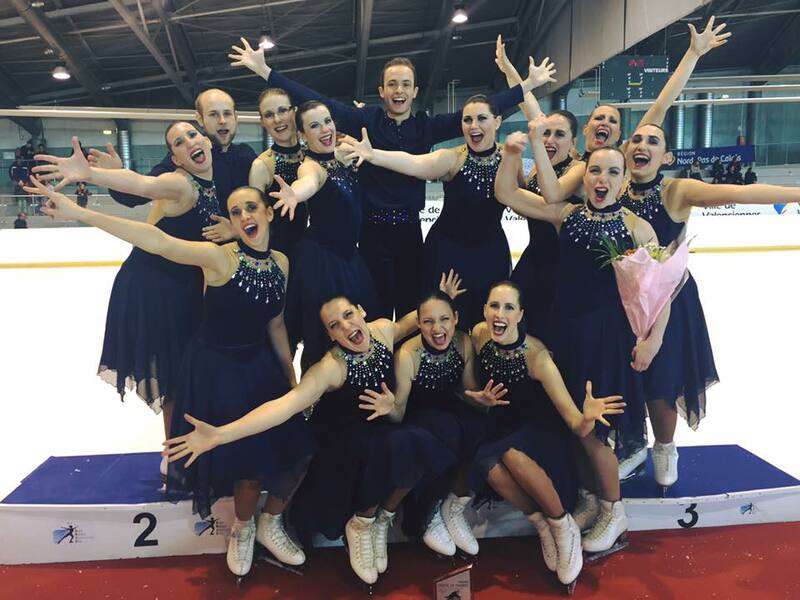 Les Flammes and the Ice Angels completed the podium. The Mixed Age competition gathered 9 from across the country. The victory went to Axel’Light (44,40 points). With a yellow and black costume, on the music of Bugs Bunny, the charm of the rabbit worked. The Mozaïks from Louviers finished 2nd with 43,20 points. The Hermines from Brest are 3rd with a total of 35,80 points. For the Juvenile category, the competition was tough because only 4,3 points separed the first teams of the last one. 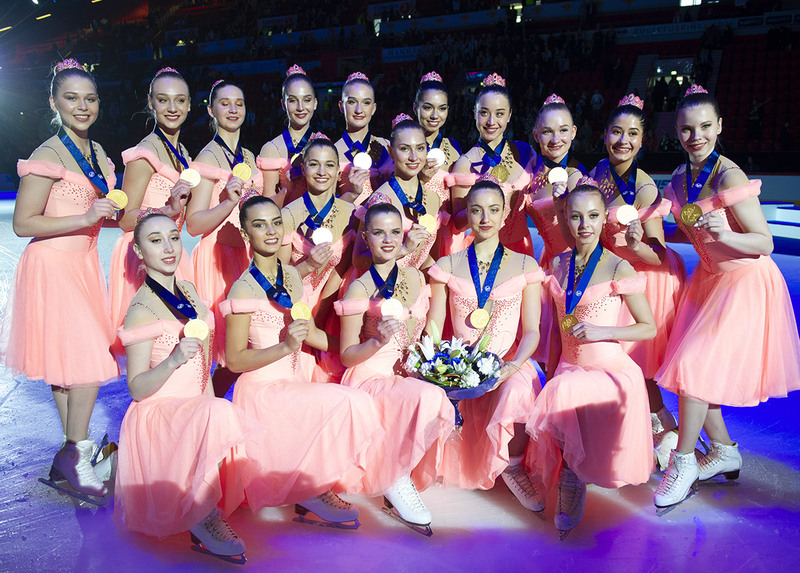 The Axelettes from Caen took the gold with 21,22 points. At the second place, Mini Twisters from Compiègne (19,22 points), and then Les Flammes (18,18 points). By the Adult field, the Tonnerres from Brest took the gold and received a total of 28,74 points. The Z’Historik and the Comètes from Dunkerque earned also a medal this weekend.